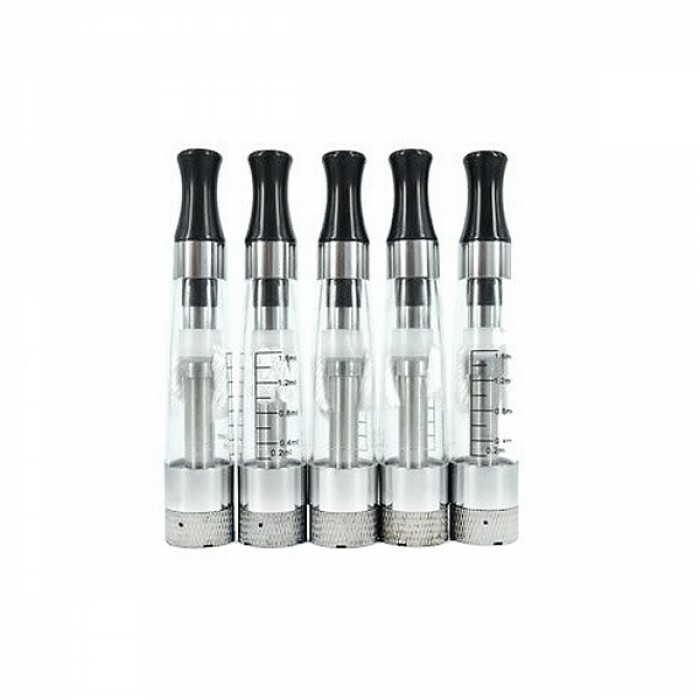 The CE5 Clearomizers are 510-threaded so they work on most all eGo batteries and mods. These attractive Clearomizer come with a 1.6ml capacity abd 2.2ohm atomizer for a good clean hit. This is the next generation of clearomizers functioning the same as the previous clearomizer but now you can unscrew the bottom allowing you access tot he base and atomizer head. *Use at Your Own Risk! This is for Advanced User only. All descriptions are based on the manufacture’s own information. We, the seller, do not claim these descriptions base on our own test or studies.There are inherent risks when using any rechargeable batteries. We, as seller, are not responsible for damages caused by the misuse or mishandling of any rechargeable batteries and chargers. Please use caution when charging or using rechargeable cells such as Li-ion (Lithium-ion), LiPo (Lithium-ion Polymer) Li-on. Rechargeable batteries require careful handling. Due to their sensitivity they may explode or burn when mishandled. Make sure the user has enough knowledge of rechargeable cells/batteries about charging, carrying, storage. Do not use any rechargeable battery if there is any damage, included tear of wraps. Do not use any rechargeable battery if the cell or charger has been stressed by mishandling, continuous dropping and rubbing or otherwise, even if a physical damage might not be visible. Store and carry rechargeable cells in non-conductive container. Never leave rechargeable battery in a hot temperature environment, including your car. Dispose your rechargeable battery according to your local regulations. Copyright © 2017, Vape Family, All Rights Reserved.